St. John’s Organ Society is pleased to announce the 26th Summer Recital Series on Maine’s largest 19th-Century mechanical-action pipe organ, E. & G. G. Hook’s magnificent Opus 288, at St. John’s Roman Catholic Church in Bangor. These hour-long recitals occur on Thursday evenings at 7:30. St. John’s Catholic Church is located at 207 York Street in Bangor. Admission is free, but donations are appreciated. The season opens on July 19th featuring Wolfgang Reisinger of Vienna, Austria performing music of Georg Muffat, Johann Sebastian Bach, Franz Schmidt, and his own improvisations. Organist Wolfgang Reisinger (b. 1964 in Vienna) studied Church Music and Organ Performance at the Universities of Vienna and Kansas. He has also received doctorates in Organ Performance and Musicology. Wolfgang has led numerous Sacred Music Conferences in Austria and abroad and teaches organ and improvisation at the Vienna Church Music Conservatory. Between 2001 and 2003 he served as Director of Music at the St. Lawrence Catholic Campus Center at the University of Kansas. 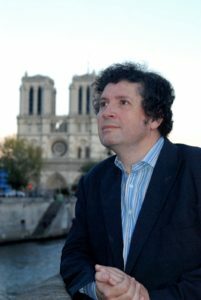 He has played concerts in most European countries, recently also at Notre-Dame de Paris, in the US, China, Russia, and Korea. He is also active as composer of church music and has received many commissions, especially for choral compositions. More information about him can be found at www.wolfgang-reisinger.org. The 26thseason of summer concerts continues on July 26 with Francien Janse-Balzer of Weener, Germany, who will perform a program of Dutch composers like Klaas Bolt and Jacques van Oortmerssen. She and Kevin Birch will also play music of Bach and Mozart for four hands, arranged by Dutch musicians. Francien Janse-Balzer, born 1959 in Zutphen/Netherlands, studied church organ in Amsterdam with Klaas Bolt from 1977 to 1981. She continued her studies with Jacques van Oortmerssen and got her concert diploma in 1984. Furthermore she studied chamber music at the Ecole Normale de Musique in Paris. From 1982 to 1993 she worked as a teacher for organ, piano and music theory at the Emsland Music school in Papenburg, Germany. Besides her teaching she continued her various activities as a concert and chamber musician. In Weener, Germany she holds since the 1980’s a position as church musician and leader of the church choir at the local Lutheran church, and a position as an organist at the Arp- Schnittger-Organ of the local reformed church. She is also chairman of the promotion circle for the Organeum in Weener, an international acclaimed museum for organs and historic keyboard instruments. Francien Janse-Balzer has in recent years given numerous recitals and made CD recordings as an organist, her musical repertoire reaches from early music to contemporary and jazz. The season continues on August 2 with Abraham Ross of Oberlin, Ohio, who will perform music of Amy Beach, Rolande Falcinelli, and Joan Tower. Abraham Ross performs regularly as a soloist and an ensemble player with special interests in early music and twentieth-century repertoire. In May 2018, he graduated with a Master of Music in Historical Performance at Oberlin Conservatory, where he studied organ with Jonathan Moyer and harpsichord with Mark Edwards. During his time in Oberlin, he served as Music Intern at Church of the Covenant in Cleveland, where he assisted in accompanying liturgies, conducting the Children’s and Chancel choirs, and engaging the local community with diverse musical offerings. 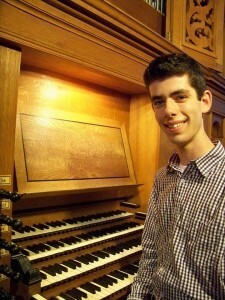 Abe commenced his study of organ with Kevin Birch at St John’s RCC in Bangor, Maine, playing the church’s 1860 E. G. & G. Hook organ. During this time, he developed an appreciation and a passion for historical instruments and early music. He went on to study as Organ at College of the Holy Cross in Worcester, Massachusetts. During this time, he studied under James David Christie, conducted research in early keyboard repertory, and performed throughout the Northeast. Abe has been fortunate to encounter abundant opportunities for musical study and performance. In 2014, he was awarded a Mellon Grant to study seventeenth-century music with Francesco Cera in Rieti, Italy. A summer of study and research culminated in a presentation of Frescobaldi’s Messa della Madonna and the corresponding plainchantwithin a liturgy at Holy Cross. He went on to win first place in the Boston Chapter of the AGO’s Quimby Competition in 2015. Abe’s recent performance highlights include appearances at Universidad del Salvador (Buenos Aires, Argentina), First Church of Christ Scientist (Concord, NH), and Mechanics Hall (Worcester, MA). Abe looks forward to joining David Harris and the staff at First Congregational Church of Los Angeles this summer, where he will fill in as summer interim organist. Next fall, he will join the Chapel Music Program at Duke University, serving as an organ scholar for the 2018-19 academic year. 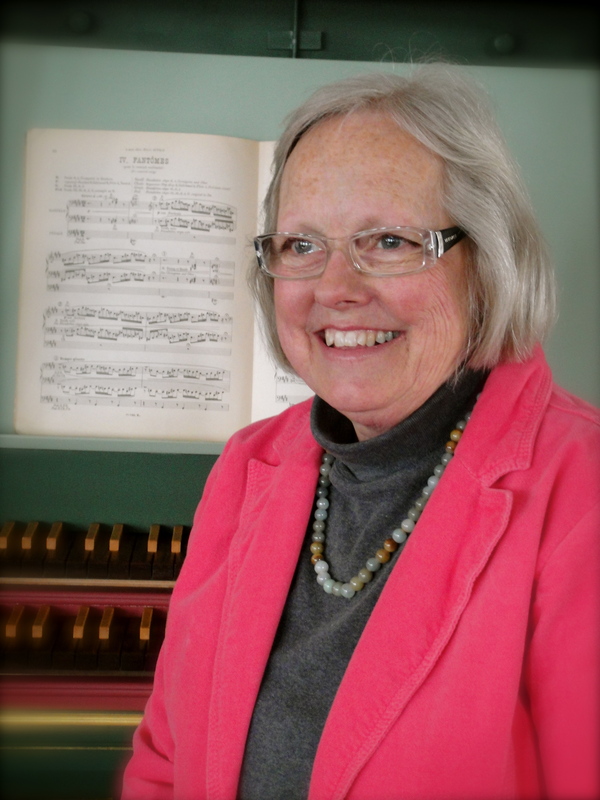 The season continues on August 9 with Susan Ferré of Gorham, New Hampshire, who will perform music of Johann Sebastian Bach, Johann Ludwig Krebs, Josef Rheinberger, Charles Tournemire and Fanny Mendelssohn. Susan Ferré has spent the last ten years directing a non-profit organization, Music in the Great North Woods, which sponsors, free of charge, classical concerts and organ scholarships in New Hampshire’s North Country. She serves St. Barnabas Episcopal Church in Berlin, NH, as Organist and Director of Music, and has recently been elected Dean of the NH Chapter of the American Guild of Organists. She has performed widely in Europe, Scandinavia, Brazil, Canada, and throughout the United States. She has served the faculties of Pacific Lutheran University in Tacoma, WA, Southern Methodist University, Perkins School of Theology, University of North Texas and the University of Paris at Vincennes. For more than twenty years Ferré directed the Texas Baroque Ensemble, an original instrument ensemble with 16 singers. She holds degrees from Texas Christian University, the Eastman School of Music, University of North Texas, and was a Fulbright Scholar to Paris, where she received the Diplome d’Orgue et Improvisation from the Schola Cantorum in 1969. She has received honors for her contributions to early music from the University of North Texas and recently from Perkins School of Theology in Dallas. Her numerous recordings have received glowing critical reviews as well as a Gold GrIndie Award for creativity and accessibility. The season continues on August 16 with Sarah Johnson of Boston, Massachusetts, who will perform music of Johann Sebastian Bach, Nicolaus Bruhns and Pamela Decker. Sarah Johnson holds a Master of Sacred Music from Boston University, where she studied organ with Peter Sykes. 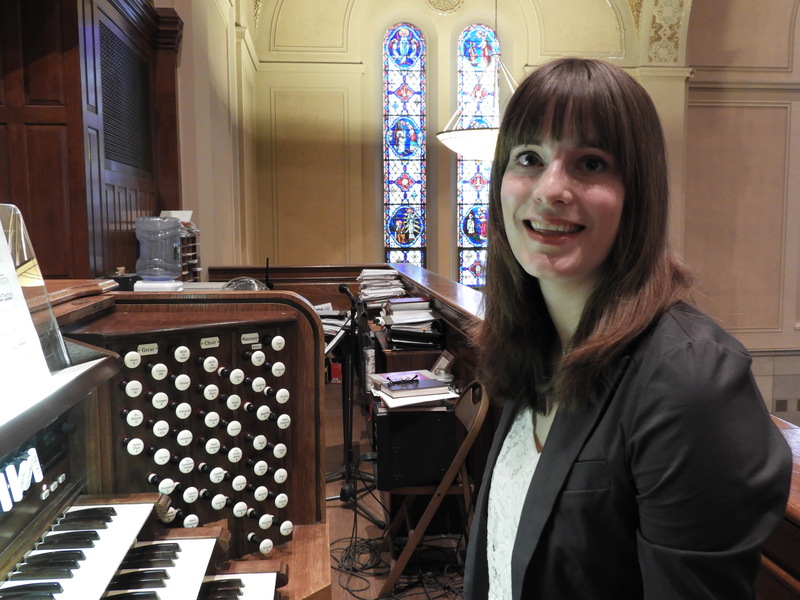 She currently serves as Organ Scholar at Holy Name Parish in West Roxbury, and as Assistant Librarian at the Organ Library of the American Guild of Organists. A native of Garland, Maine, Sarah began her organ lessons with Kevin Birch, organist and music director at Saint John’s Catholic Church in Bangor, where she was featured as a recitalist on the 23rdSummer Organ Concert Series. In her undergraduate degree at Vassar College she studied organ with Gail Archer, and piano with Todd Crow. Since beginning college she has performed in New York City at Central Synagogue, and in Boston at Old West, Trinity Copley, and Holy Name Parish. She placed second in the 2015 Eastern NY region of the AGO’s Regional Competition for Young Organists and in the 2017 Boston chapter of the RCYO. Sarah was featured as a rising star and guest recitalist at the 2017 Musforum Conference in Omaha, Nebraska. Past positions Sarah has held include Choral Conducting Intern at First Evangelical Lutheran Church in Poughkeepsie, NY, and Resident Organ Intern on Squirrel Island, ME. She has attended the Summer Organ Institute at Westminster Choir College in New Jersey and was named an E. Power Biggs Fellow of the Organ Historical Society in 2013. 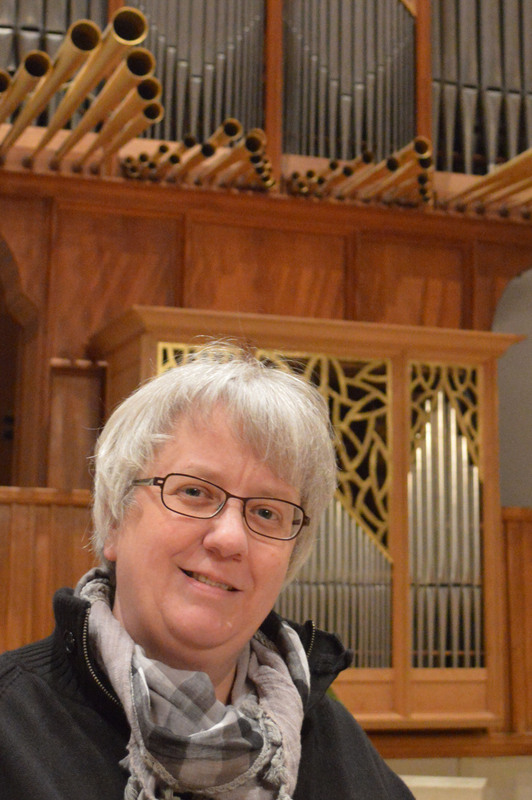 Sarah is a member of both the Organ Historical Society and the American Guild of Organists. Sarah will attend the Eastman School of Music in the fall to pursue a Doctor of Musical Arts in Organ Performance under the direction of David Higgs. The season continues on August 23 with William Porter of Rochester, New York, who will present an evening of improvisations on this spectacular organ. Widely known as a performer in the United States and in Europe, William Porterhas also achieved international recognition for his skill in improvisation in a wide variety of styles, ancient and modern. Recently retired as Professor of Organ, Harpsichord, and Improvisation (2002-2013) at the Eastman School of Music in Rochester, New York, he has also been a member of the faculty of music at McGill University in Montreal, where he lived from 2004 until fall of 2015. 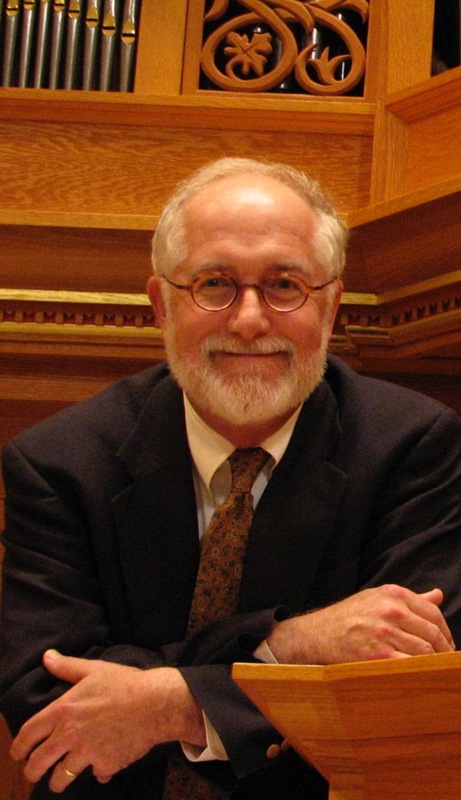 He has also taught at Yale University, New England Conservatory, and Oberlin College. He has performed at major international festivals and academies, and has recorded on historic instruments, old and new, for the Gasparo, Proprius, BMG, and Loft labels. Now residing in Rochester, New York, he has returned to the Eastman School of Music as part-time Professor of Organ. The season finale is August 30 and features Opus 288 & Friends: Anna Maria Baeza – clarinet (Brooklyn, NY), Kevin Birch – organ (Bangor, ME), Anatole Wieck – violin (Bangor, ME), and Joachim Woitun – violoncello (Brooklyn, NY) performing the Suite for Organ, Violin, and Cello by Josef Rheinberger, Opus 149. Anna Maria Baeza, Clarinetist, is an active solo and chamber musician who has performed in recital throughout North America and Europe. Baeza has been a member of multiple orchestras and has participated in many music festivals. Baeza holds a Doctor of Musical Arts degree in clarinet from the State University of New York at Stony Brook and Master and Bachelor of Music degrees from the University of Southern California. School Settlement in Manhattan. In the summer, she teaches adult amateurs at SummerKeys in Lubec, Maine, and will be heard at the Winter Harbor Music Festival this August, 2018. Anatole Wieckis a professor of music and conducts the orchestra at the University of Maine. He earned a Doctorate of Musical Arts from the Julliard School where he studied violin and viola. Wieck has taught, performed and conducted in Europe, Asia, and North, Central, and South America and has participated in chamber music festivals throughout the world. Joachim Woitun studied cello at the Richard Strauss Konservatorium and the Hochschule fuer Musik in Munich, Germany. Woitun earned his MA degree from Queens College, The City University of New York, studying cello, baroque performance practice, chamber music, and contemporary music. Woitun has been a soloist with multiple orchestras. He can be heard regularly as a recitalist in New York City and in Downeast Maine, where he has performed at Bay Chamber Concerts in Machias, at SummerKeys in Lubec and at Fog Fest as part of the Roosevelt Estate on Campobello Island. Woitun teaches at the Saint Ann’s School in Brooklyn, as well as at the United Nations International School in Manhattan. In addition to maintaining an active private studio in Brooklyn, New York, he has been on the faculty of SummerKeys in Lubec, Maine since 2006.